The chart is the work of Horace Dediu at his Asymco site, and the chart was posted along with a tweet. Although I was aware that the iPad’s first year sales numbers were at a record breaking pace, I had no idea how far ahead it is of the sales trajectory for the iPod and iPhone. That’s very impressive. Apple did their Q4 2011 financial results call this afternoon. Their fiscal fourth quarter is roughly in line with the 3rd calendar quarter of the year, having ended on September 24, 2011. — 11.12 million iPads sold in the quarter – a 166% increase from the year-ago quarter. — 92% of Fortune 500 testing or deploying iPads – up from 86% last year. — iPads now being distributed in 90 countries. — Another mention of the IDC figures for Q2 of 2011 – showing the iPad with around 3/4 of the tablet market. I think that iPad sales number puts the year’s total for 2011 at right around 25 million, with the holiday quarter still to come. 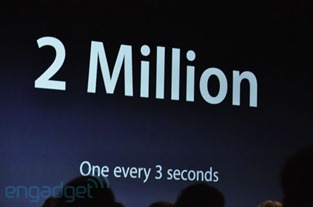 During their quarterly earnings call yesterday Apple announced some staggeringly impressive numbers for the iPad. 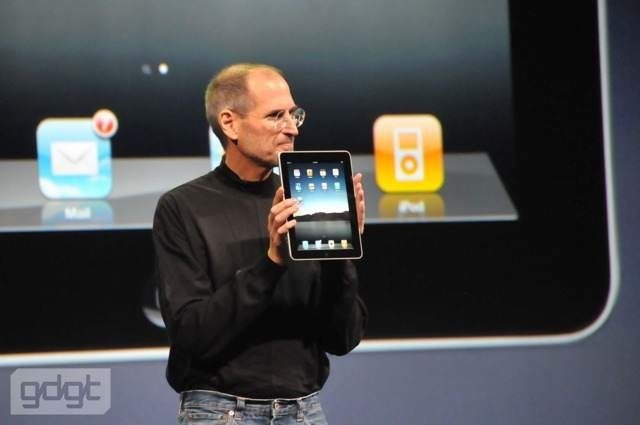 For starters, they sold 9.25 million iPads last quarter – that’s a crazy, huge number in its own right. — The iPad number for the quarter was up 183% over last year. — The iPad outsold the iPod (all models combined) and more than doubled the sales of Macs. 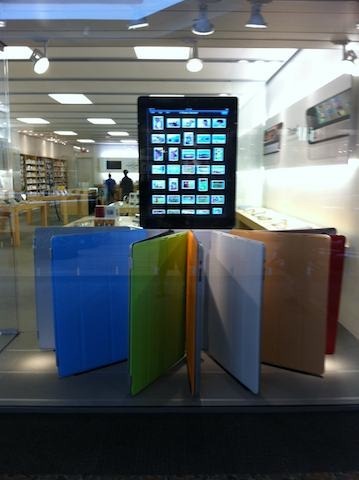 — iPads are now on sale in 64 countries, after launching in 36 new ones during the quarter. — 86 percent of Fortune 500 companies are now deploying or testing the iPad. Apple are still selling iPads as fast as they can build them, but Tim Cook (Apple’s COO) stated that he is confident that they can ramp up production to meet demand. More than 9 million iPads sold in a non-holiday quarter seems hugely impressive to me, especially with all the new competitor tablets that have launched this year. We’ve created a whole new category of device with the iPad. My math is weak, but 25 million in 14 months sounds like not far off 2 million per month as average sales. Not too shabby – especially considering many of their rivals don’t sound as if they’ve hit 2 million sales after several months on the market, and given the supply constraints that have been around for various periods since the original iPad launch. 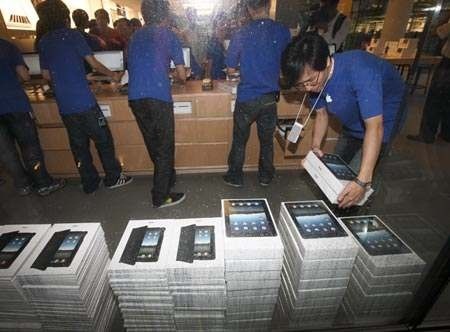 — 4.7 million iPads were sold during the quarter. 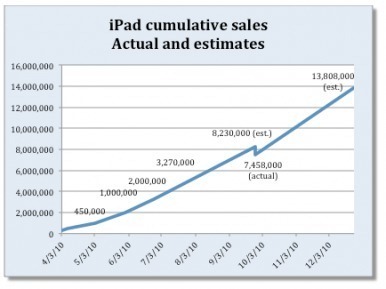 This is below a lot of analysts’ estimates, but still an impressive number given that the quarter ended in March, with stocks of the original iPad being wound down and the iPad 2 only on sale for about two weeks. 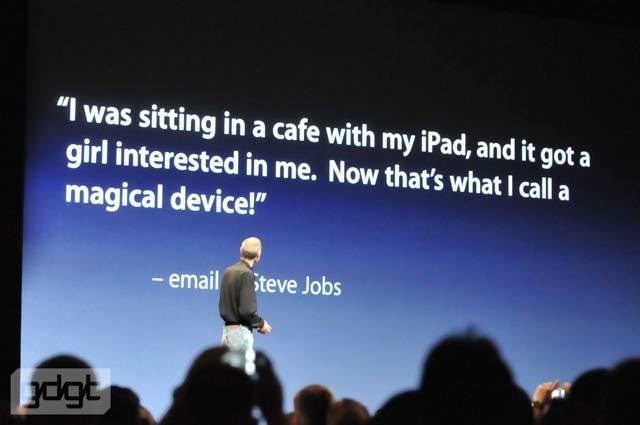 Tim Cook (Apple’s COO) said demand for the iPad 2 has been ‘staggering’. 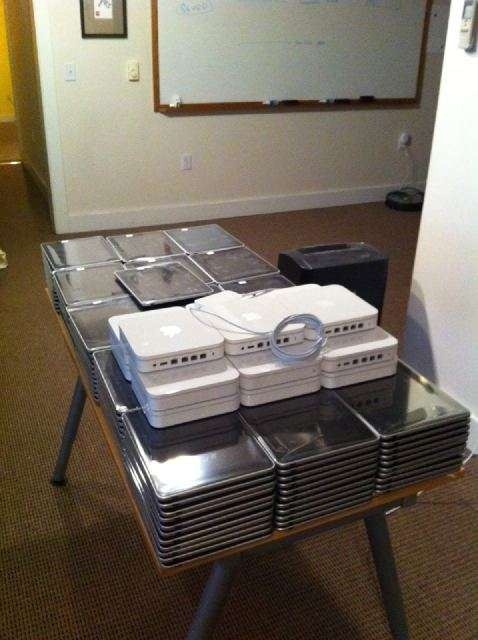 — There were 3.76 million Macs sold in the quarter. So the iPad is outselling Macs by a significant distance. Over 80% of the Fortune 100 are testing or deploying iPad – up from 65% last quarter. News Via: Apple’s FY 11 First Quarter Results Call. 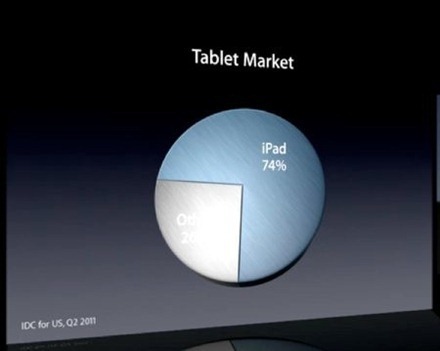 According to a recent Fortune report, the latest estimates put iPad sales for 2010 at around the 14 million mark. These estimates include actual figures for most of this year and estimates from a broad range of analysts for the most recent quarter. A pretty great debut year – especially considering that many thought the iPad would struggle as a ‘tweener’ sort of device and might just about sell a million in its first year. Next year’s numbers, for iPad and tablets in general, are expected to see enormous growth. 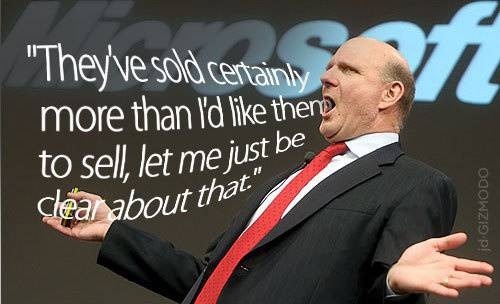 Speaking to Wall Street analysts, Microsoft chief executive Steve Ballmer noted that tablets are a big issue for the company and expressed concern about Apple’s success with iPad. "Apple has done an interesting job. They’ve sold more than I’d like them to sell. We think about that," he said. "So it’s our job to say, we have got to make things happen. Just like we made things happen with netbooks, we have to do that with Slates." 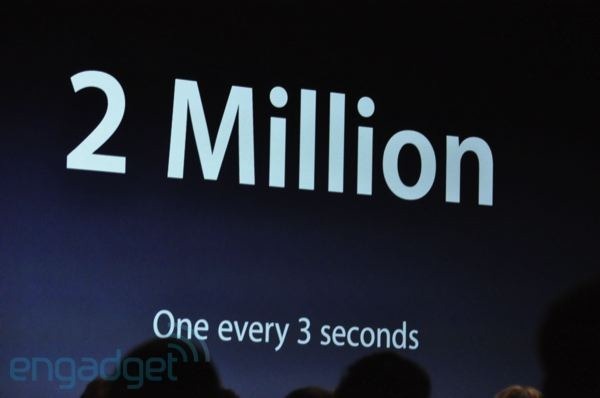 $2.17 billion sale of iPad and accessories. Already have 50 percent of the Fortune 100 deploying or testing the iPad. The product is not following a typical early adopter curve — it’s quickly broken into the mainstream. Like many people, I thought iPad sales would start to taper off after the initial mad rush for the new device back in its first few weeks of release. Amazingly, this does not seem to be happening. Obviously sales are now being boosted due its Stage 1 international launch last month – but the pace of better than a million units sold per months still seems extremely impressive. Apple also announced today that there are now more than 11,000 apps for iPad – which is already double the number that were available at the end of May. It’s good to see that developers’ enthusiasm for the device is matching that of users – though it still doesn’t feel to me like there are tons of new iPad apps around in the App Store over recent weeks. Monthly sales of Apple’s new iPad device have been rising steadily over the past several months, prompting the electronics maker to adopt a second supplier of 9.7-inch display panels in anticipation of strong fourth quarter sales that could top 6 million. The Cupertino-based company is now producing 1.2 million iPads each month, up from 800,000-900,000 units in May, 700,000 units in April, 470,000 units in March, and 300,000 in February. 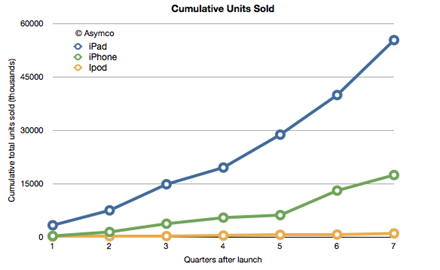 More crazy big iPad sales numbers from a report in Apple Insider. It also mentions that according to one group of researchers, sales may shoot up to 2.5 million units a month by this year’s holiday season. Not bad for a device that many thought was over-hyped and trying to slot into a space in the market that just didn’t exist.